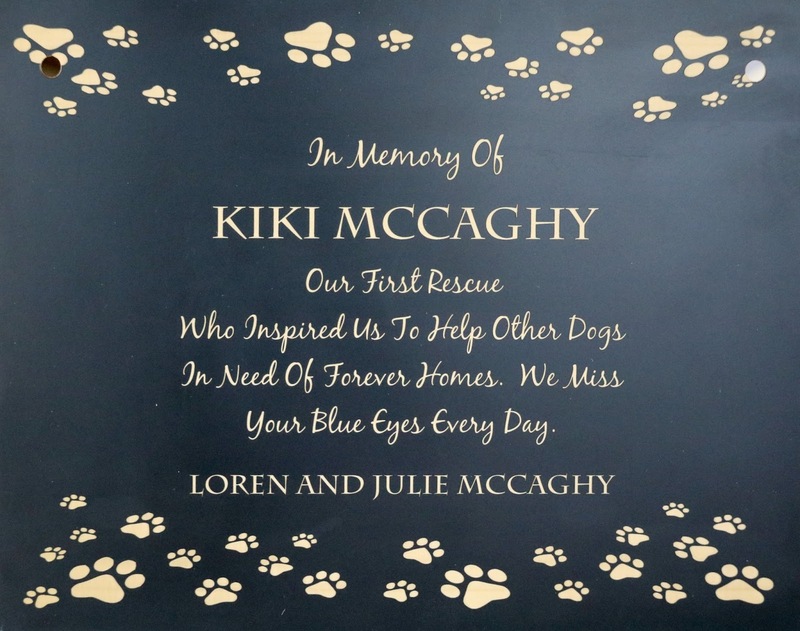 We are delighted to unveil the plaque adorning Kiki's Memorial Kennel. It is our honor to help the animals who need us and are touched by the love and support their homes and our volunteers give us. Thank you to the McCaghy's for being such an incredible home to Kiki and her furry siblings and such ardent supporters of us. If you would like to sponsor a kennel in honor or in memory of a special person or critter in your life, please click on the donate button and complete the Sponsor Information you are brought to after checkout. For just a $1 a day ---$365 for the year--- you can make an enormous difference in the lives of the animals of Tipton County. Sponsor Information and mail it with your check.